Get your book to market! Whether you're selling direct on Amazon, or placing your book in stores, we have strategies for effective distribution. Publishing has changed. Authors know it. Amazon knows it. Publishers know it. But for most businesses it’s still something that is happening to someone else. Maybe you’ve heard about Kindle Singles, or someone you know bought a self-published book on their iPad and didn’t hate it. Possibly you have a friend who is selling that novel they wrote years ago that never found a home at a big publishing house. And it’s very likely that you know at least two or three people who claim to be important bloggers. But it’s just the beginning. When selling books through bookstores, you sell one book to each consumer. You never know who they are, so there is no possibility of a repeat sale. One of the benefits of selling books to corporate buyers is that you cannot only sell many books to one buyer, but you can generate repeat sales from them. Here are Ten Tips for Generating More Sales From Fewer Buyers. Kobo has announced that the Sony Reader Store will close on 16 August and that ‘soon after the closure’ Australian users will instead access its ‘comprehensive digital reading ecosystem’. The Sony Reader Store will also close, with users to access Kobo instead, in the UK, Germany and Austria, and follows a similar change in the US and Canada in March. In a statement, Kobo said the free Kobo App for Android will be ‘pre-loaded on select Sony smartphones and tablets’, but ‘timing and availability may vary by market and carrier’. Strategic negotiating requires you to ask questions, listen and then move ahead based on this new information as the second five of 15 tips discussed. 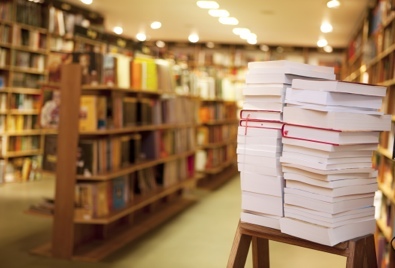 Here are the last five of 15 tips for negotiating large-quantity book sales: 11. Do not move too quickly. There will be times when all the details seem to fall into place and your enthusiasm leads you to accept an order before you have thought it through. Can you really deliver the expected quantity on time, with the requested customization at the agreed price? Is there a penalty if you do not? Can you fill an additional order quickly if the initial quantity moves faster than expected? 12. Do not give in to ultimatums. Your prospect may say that you have to sign now or lose the order. Even if you know the terms are satisfactory, resist the temptation to agree too quickly for it could minimize your negotiating position in future deals. Negotiating is a function of people and chemistry as the first five of 15 tips discussed. Here are the second five of 15 tips for negotiating large-quantity book sales: 6. Anticipate questions and objections. After several negotiating sessions you will be better prepared for the tough questions that arise unilaterally. These may be about price, quality and delivery. Be prepared to handle those you anticipate as well as those you hear for the first time. Always answer honestly, but in a way that does not reduce your bargaining power. 7. Ask for clarification if necessary. Do not assume you understand the intent of every question you are asked or statements made. If your prospects ask, “How can your proposal lead to a successful conclusion to this promotional campaign?” Ask them how they define success. Is it an increase in sales? Revenue? New customers? Negotiating a large sale of your books with a professional corporate buyer is not easy, particularly when you are not experienced at dealing with them. The 15 tips described over the next three blog entries will help you navigate the variety of personalities and circumstances with which you will have to deal, now that you have made the transition from publisher to consultant. For example, some buyers may recognize you negotiating naiveté and try to take advantage of it. They might say, “We may use coffee mugs for this campaign. If you will match the price of the mugs we might do business with you.” Inexperienced authors/consultants may drop their price quickly to get the order. The tips described below will help you turn these tables so you do not leave money on them. Every negotiation is different. Each has different objectives, people and budgets, so there is no one path on which you travel toward a successful deal. Negotiating is as much an art as it is a science. Certainly there are things that you should and should not do, but knowing when to do which is the key. Learn to go with your gut feelings. Listen to your intuition and you may find a different path to reach your objective. When issues seem purely economic, a little creativity can break often open deadlocked deals. For example, if you find yourself at odds over the price issue. Look for a different way to find common ground. You might suggest they pay one fixed amount now and a contingent amount later based on future performance. You will run across varied personalities on your path to negotiating large-quantity sales. Some of these people will have a hidden agenda when dealing openly in front of their colleagues, and they may assume a more confrontational behavior. This may result from a desire to perpetuate -- or establish – a reputation as “playing hardball,” and not compromising easily. They view a negotiation as a zero-sum pie, i.e. “your gain is my loss.” It’s difficult to work under these conditions because it is not in our best interests to point out another’s irrational bias. Try to manage the tension between cooperative actions needed to create value and competitive ones needed to claim it. In essence, the pie must be both expanded and divided. First there was hardcover, then there was paperback, and now there are eBooks. Books are always evolving for the needs and desires of the readers. Along the way, somewhere on the side, the concept of audiobooks continued to grow. First on cassette tape, then CDs, they now exist in a digital form for audio only MP3 players and computers of all shapes and sizes. Corporate buyers want to solve their problems, not yours. As a consultant, your job is to show them how they can use your content to improve their circumstances in some way. For a marketing director this could be increased sales, revenue or profits. An HR manager may seek a better trained, informed or motivated workforce. Focus on minimizing their troubles as a means to solving your own. Do You Have the Write Stuff?